Sewing Machine. I used a needle specific for stretch fabric. Read ALL instruction first before cutting. This project takes approximately 30 minutes not including cutting/prep time. 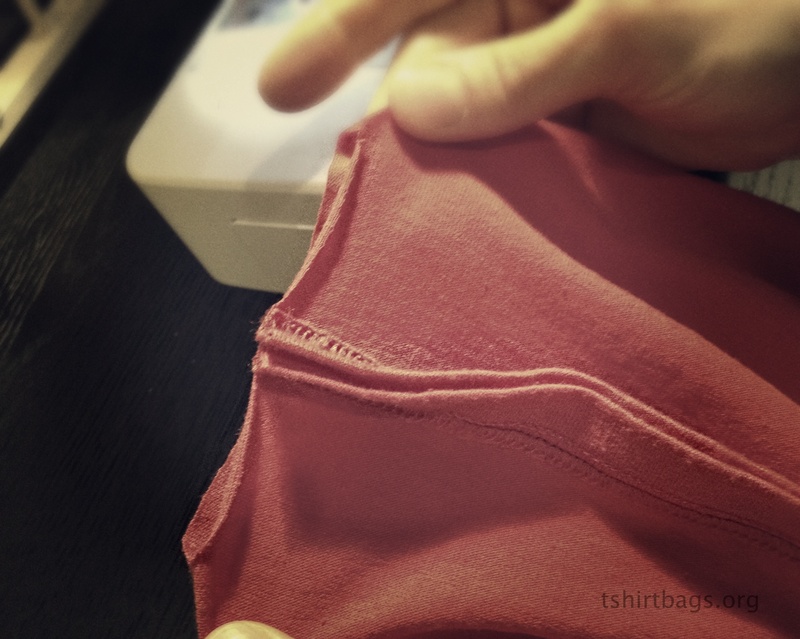 Step 1 Choose a t-shirt that is made from a thick cotton material. 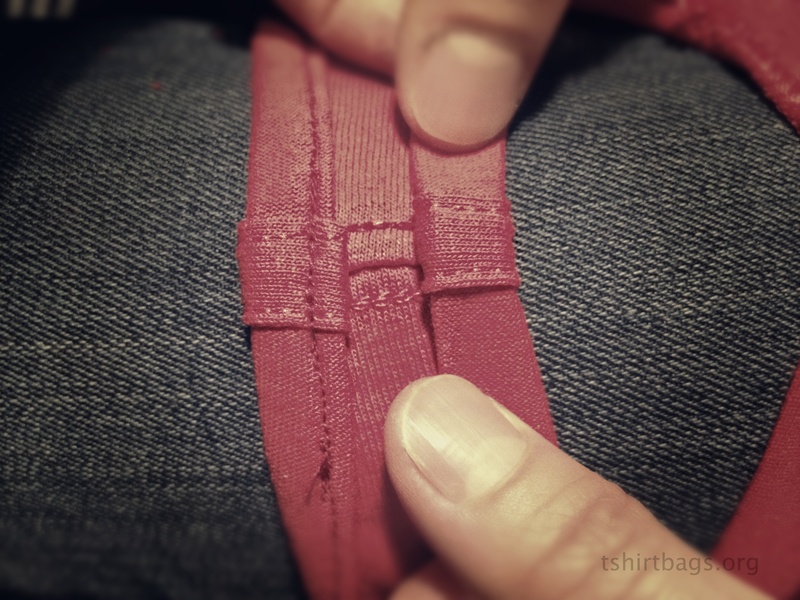 If your t-shirt is worn and thinning, but you love it and really want to use it then consider taking the time to make a lining for it. That way it will be more sturdy. 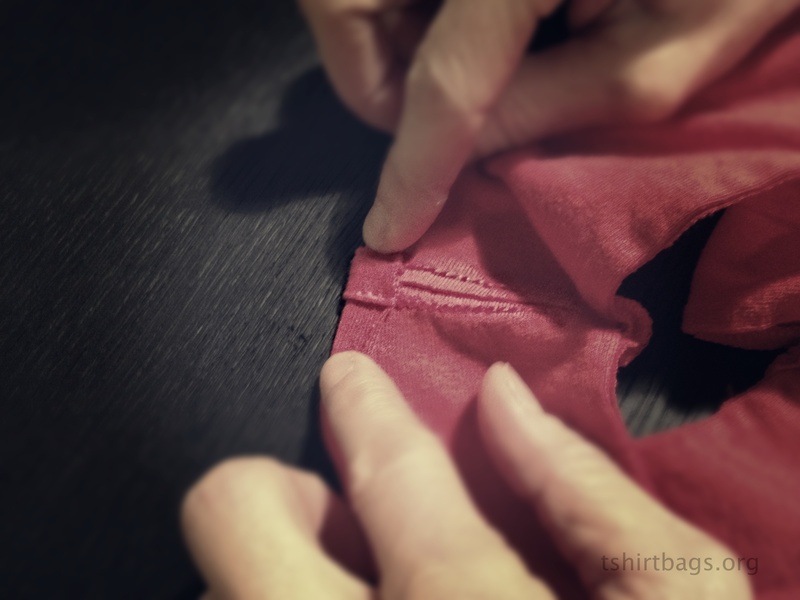 This tutorial will only show how to make an unlined t-shirt bag. Step 2 Before you cut the neck measure 8cm from shoulder seam to where you will be cutting the neck. 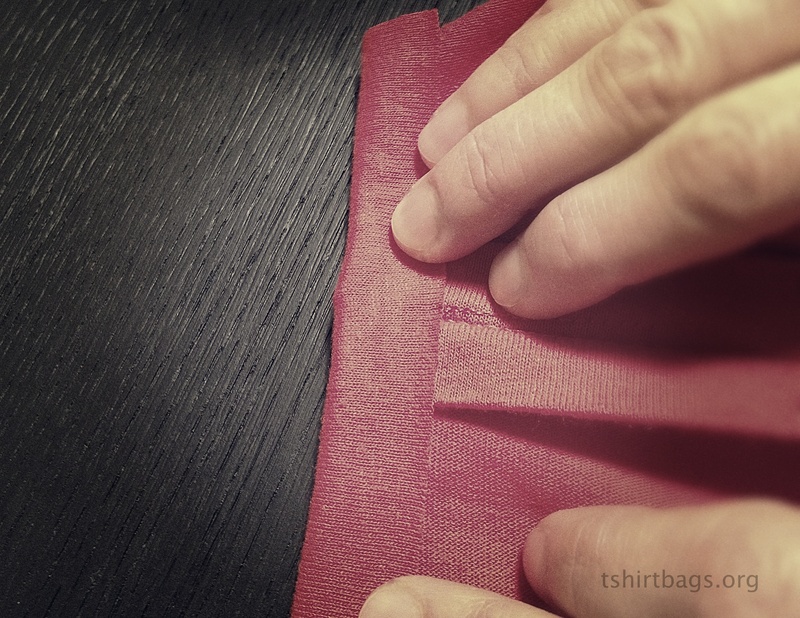 This will ensure that you have enough material to fold twice to sew your hem (later in Step 6). 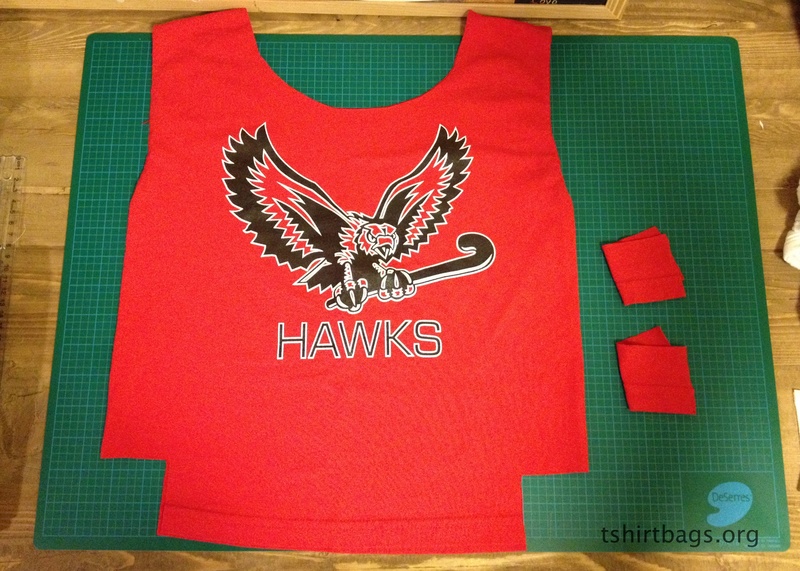 Cut away the neck and sleeves; now the t-shirt resembles a tank top! 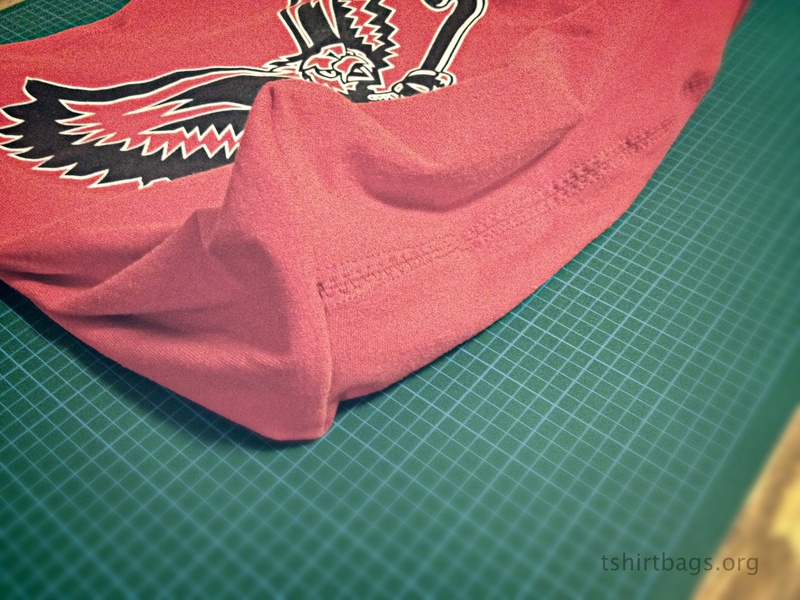 Then cut a square of fabric away at the bottom corners of the t-shirt. (see photo) I measured 5cm x 5cm. When you open the fabric it will of course be a rectangle. 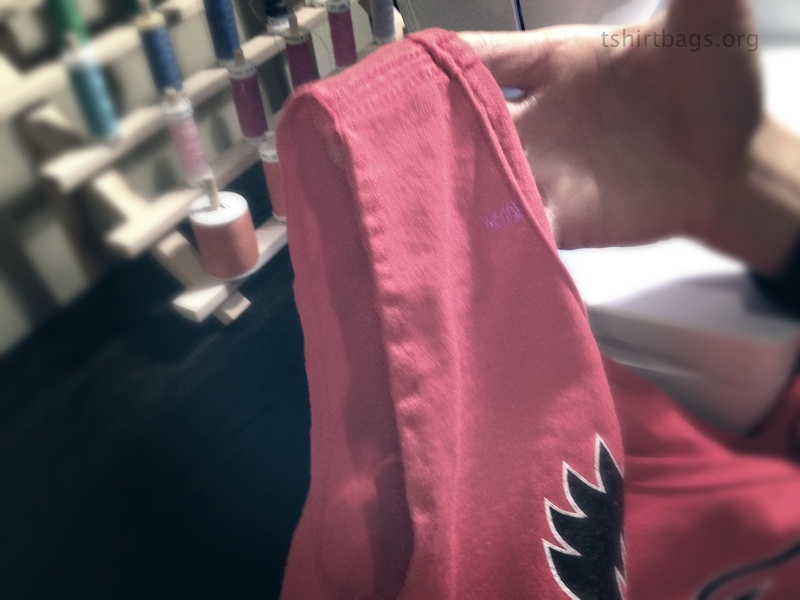 Set it aside and save it for Step 4 part D.
When you cut the sleeves off, attempt to leave the seam intact. So cut on the outside of where the sleeve is stitched to the body of the shirt. Step 3 !!! 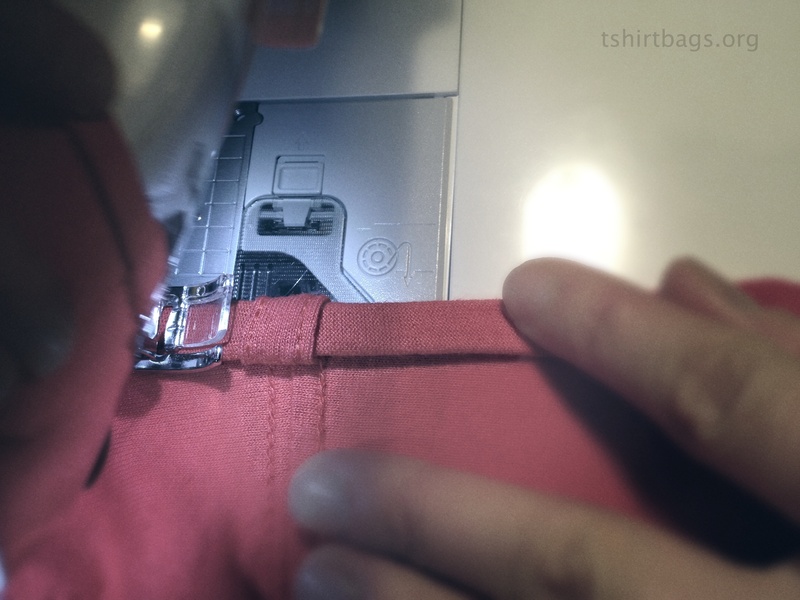 Turn the t-shirt inside out before you start sewing!!! 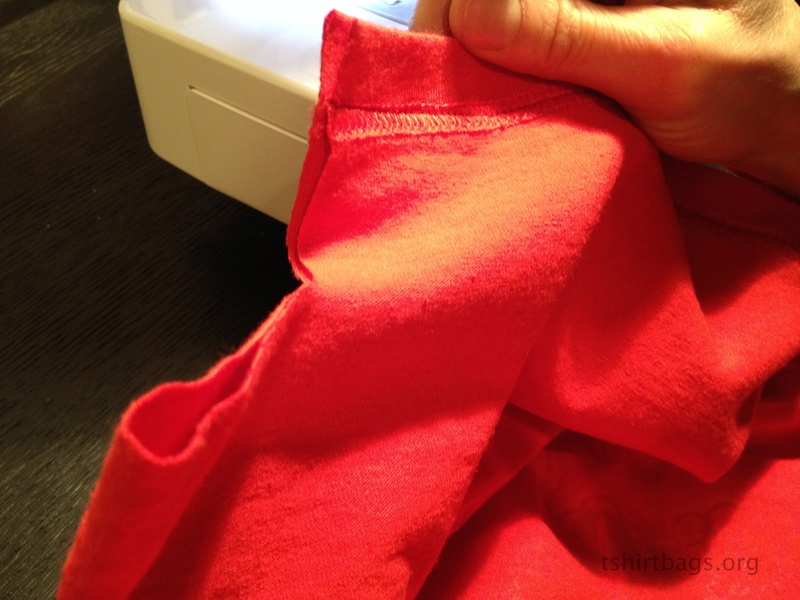 Sew the bottom of the t-shirt. 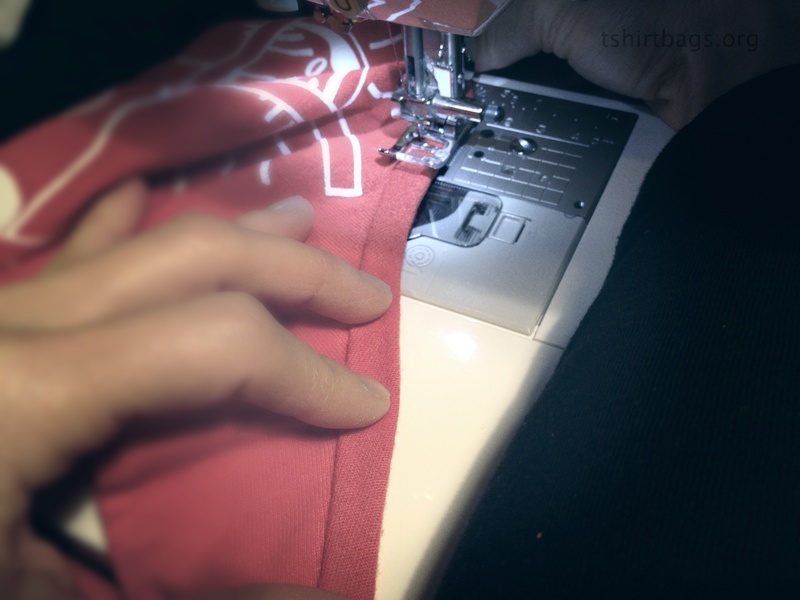 Notice where I place the foot of the machine so that the needle will sew just above the first horizontal seam. 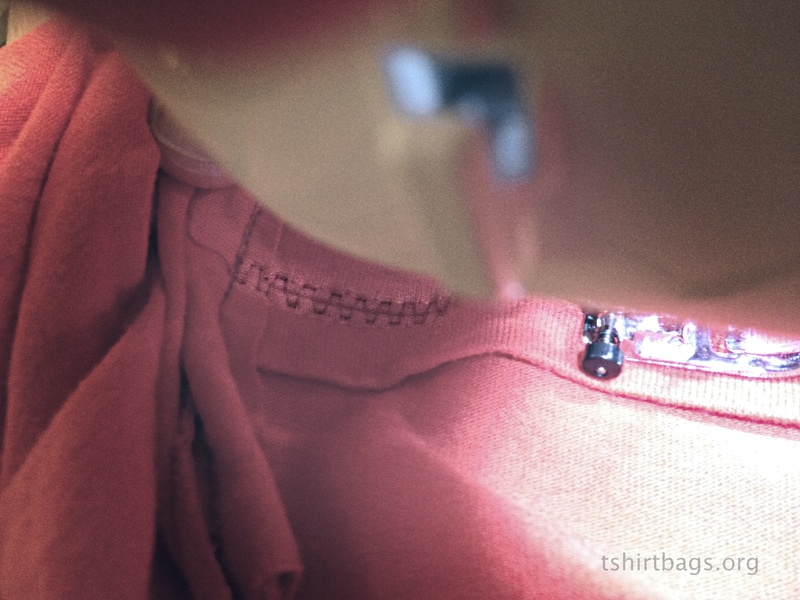 This way when the bag is turned outwards one seam stitch will still show, which looks nice. 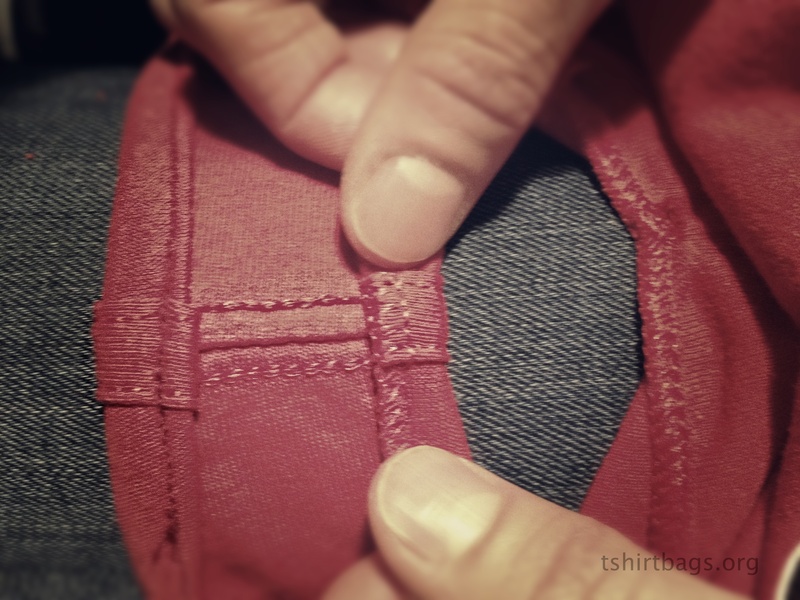 This leaves about an inch of material on both sides of the bottom seam to give the bag a little more support (see Step 4C). C) Open and flatten the stitches you made in Step 3 (like this: see photo below). D) Open and line up the ‘square’ from step 2. 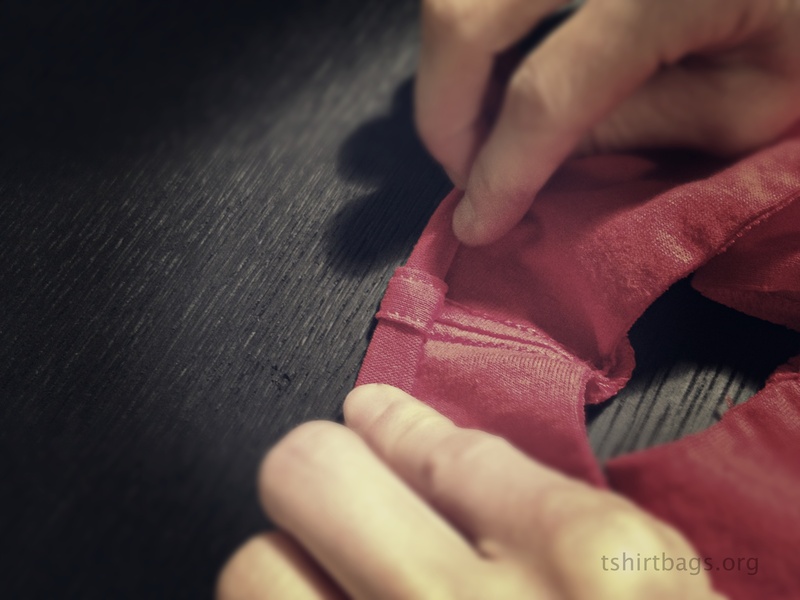 You don’t need to do this part with the extra fabric, but I decided that if I was going to bother to make a bag out of a t-shirt, I would make it as durable as I could. So this extra piece of material is meant to act as a reinforcement for the gusset. 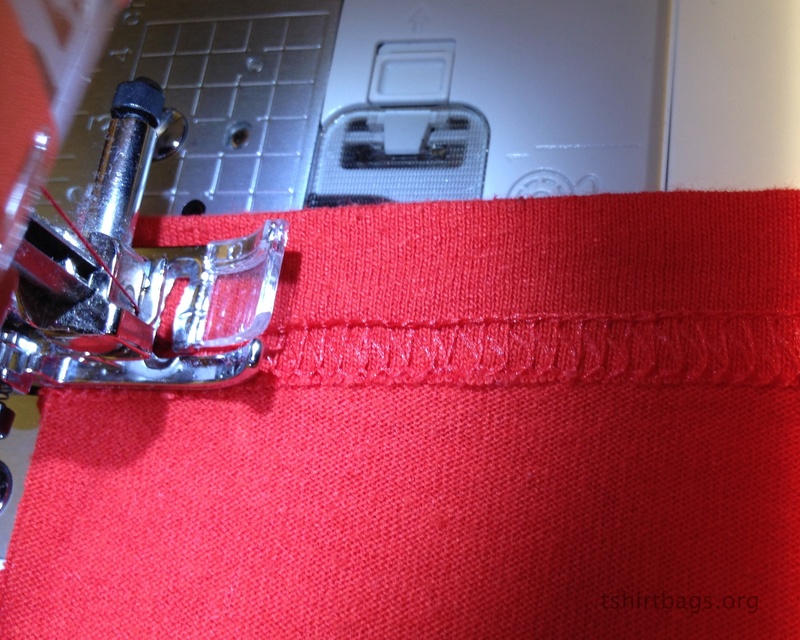 If you choose not to use the extra material, then you would just sew across to close this opening. Congratulations! You have completed one side of the bottom of your bag. Repeat on the other side. Step 5 Once both sides have been closed and the base of the bag looks complete. Turn it right-side out and ensure there are not surprise openings! 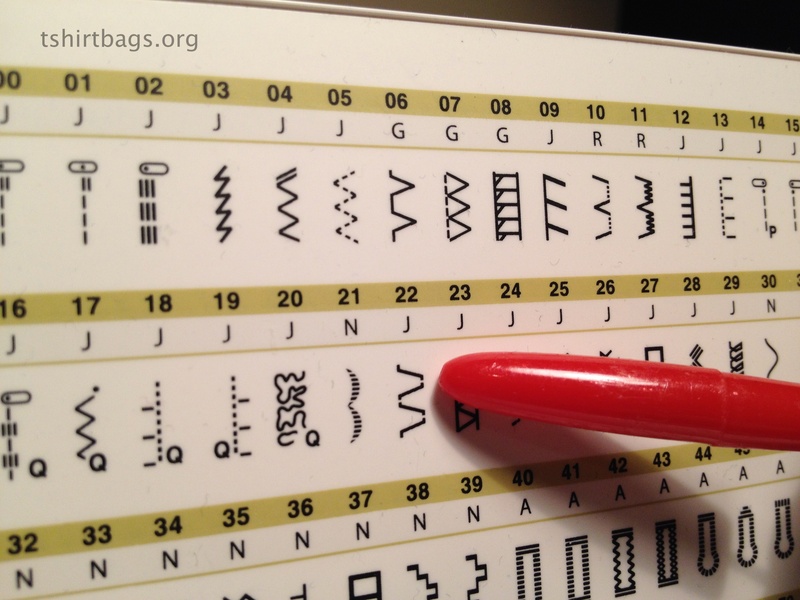 (see above) I used this stitch #22 (on a Tempo, BabyLock sewing machine). Most machines of other makes have a similar stitch. It is used to secure seams. Go ahead and turn your bag inside out. Isn’t it exciting! It’s actually starting to look like a bag 🙂 Once inside out arrange the gusset under the foot so that when you start to sew you don’t inadvertently sew the side of the bag to the bottom. Sounds like I’ve got some experience with that happening. Turn your bag right-side out and admire the beautiful stitching. So pretty. 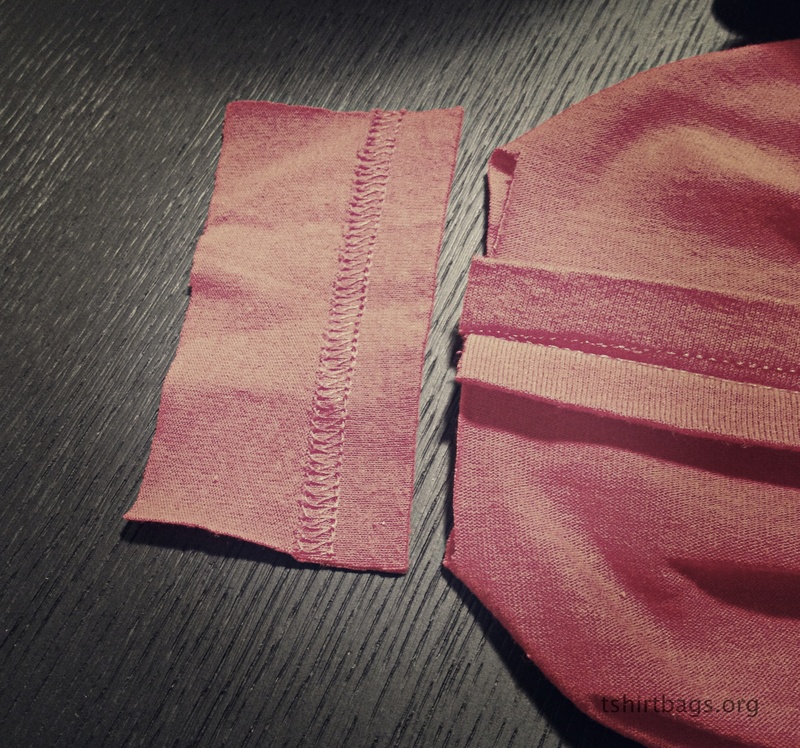 Step 6 Folding Hems for Handles. 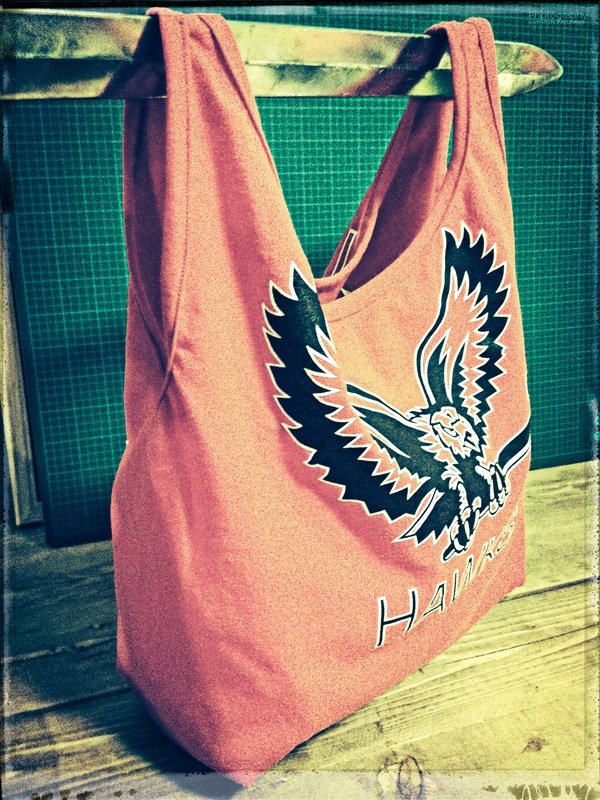 The bag is now turned right-side out. Start with the neck of the bag. 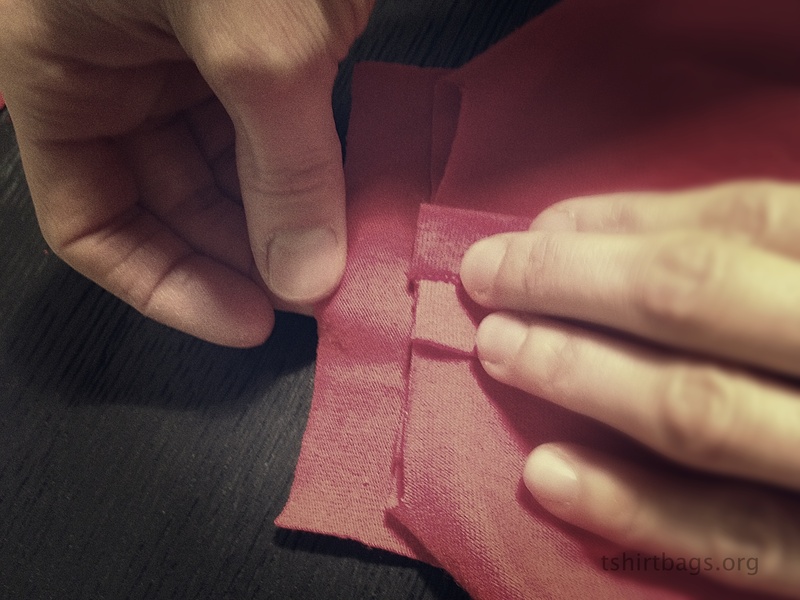 Fold approximately 1cm of fabric towards the right-side of the fabric. (see photo Step 6A). Then fold a second time. (see photo Step 6B). 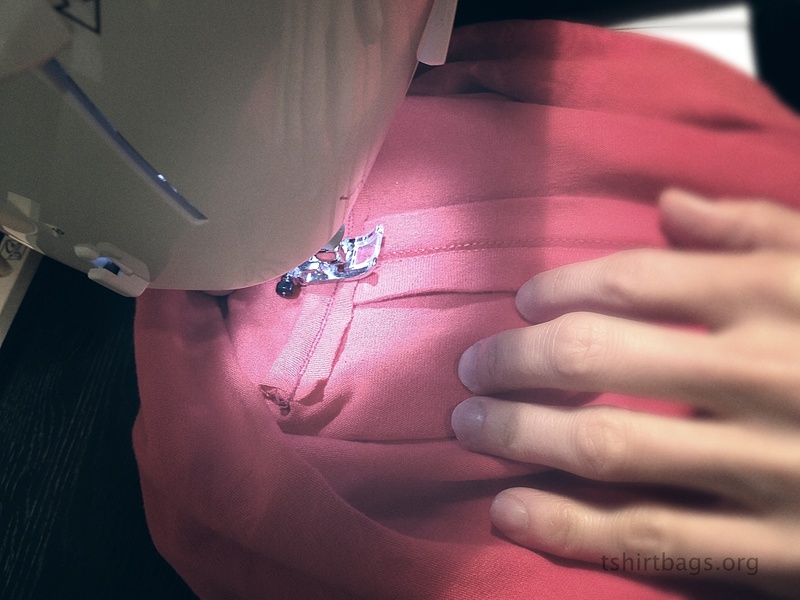 Now go ahead and sew the hem. All the while folding twice as the machine is making its way around the neck of the bag. Like this, in photo (C). 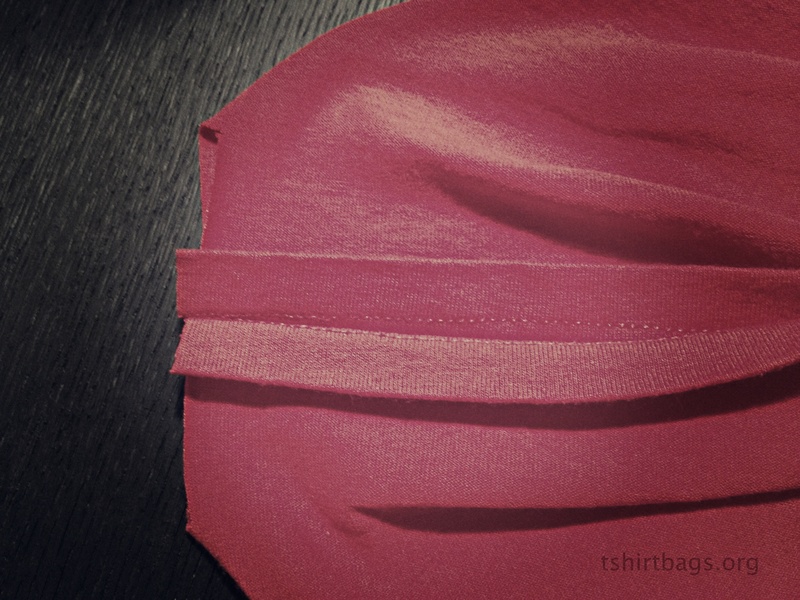 Photo (D) shows what the hem looks like just around the neck of the bag. Now it’s time to sew the hem where the sleeves used to be. In the photo below you can see how the first hem is stitched. 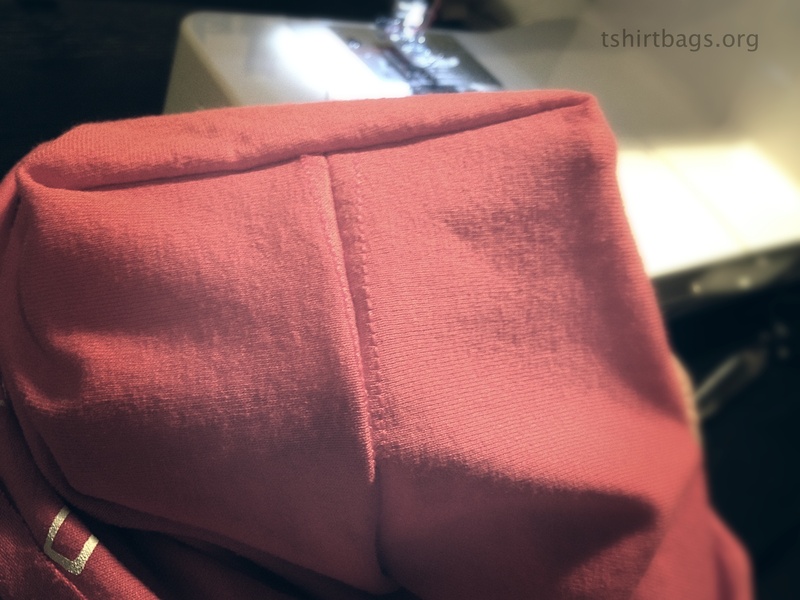 Photo (E) shows the first fold of the fabric for hemming the side of the handle where the sleeves used to be. 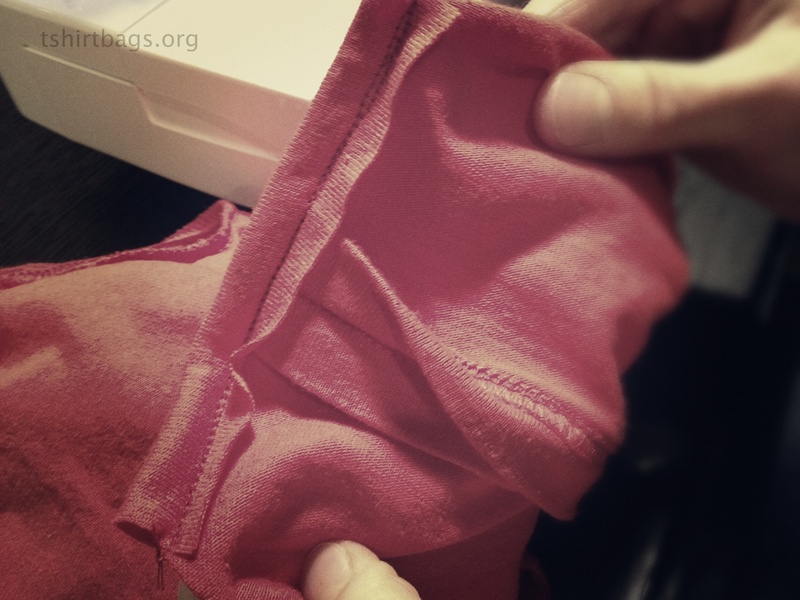 Photo (F) shows the second fold of fabric for the hem. 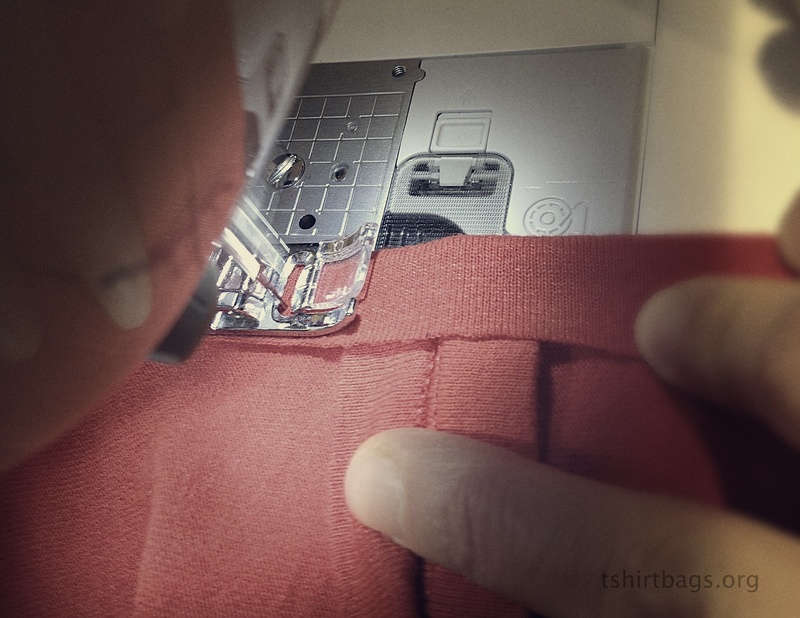 Photo (G) shows where I begin stitching the hems for the handles. I go all the way around and end at the spot where I started to backstitch. In this segment: Photos by Falcon. Photo Editing by Falcon’s Mom. wow! great idea for making use of the many logo t-shirts we all have on hand in our homes. Keep up the good work! Lets make the world a better place for all.